Perhaps structured business processes are to the last few decades of the 20th century what assembly line production was to the industrial age -- a drive for ever increasing efficiencies and cost savings. According to Dr. Gloor, the current challenges for businesses are to optimize flow of knowledge, streamline unstructured innovation processes and turn organizations into COINs. COINs, however, may be considered by some managers as a threat to their traditional hierarchy and even to their traditional authority. In his book Swarm Creativity, Dr. Gloor suggests that "swarm creativity", with analogies to social insects where no insect is in charge, may be the only way we can succeed in a world that is continually increasing in complexity and that can not be comprehended by a single individual. The traditional structure of having a central commander to coordinate activities and provide and communicate a clear vision and direction, such as is done through the chain of command from chief executive officer, to vice presidents, managers, supervisors, and finally to the insect workers, may not be the best model for today. COINs permit self organization, agility, flexibility and a strong sense among all participants that they want to succeed in innovation. And they want their innovation spread and accepted, in many cases, world-wide. In COINs, members share all their findings, the results of their common work, and the credit for the results of their collaborative work. Dr. Gloor has analyzed a number of COINs and concluded that their results can be "awesome". He has identified seven "critical success factors" for COINs. The most surprising is the seventh: "Know when to change to a conventional organizational structure" (once a commercial product has been developed, move it to a project team or a business unit!). Gloor ends his book on an optimistic note explaining that COINs can be actively created and their unique culture maintained. I had an opportunity to ask Dr. Peter Gloor some questions about his ideas. 1. Question: How did you first become interested in collaborative innovation networks? I accidentally discovered the power of COINs when I was leading the e-Business practice for Deloitte Consulting in Europe, at the height of the e-Business hype. A few of us got excited about knowledge management and virtual communities. As the firm officially did not want to support our interests, we formed a special-interest group of enthusiasts, spread out around the world, and collaborating mostly virtually, outside of the official organizational structure. What I found is that this group worked far more efficiently than a conventional group managed in top-down style. Without official blessing, and with almost zero budget, we created new consulting products and marketing materials of high quality, and high commercial value. 2. Question: Is it true that collaborative innovation networks appear to emerge and work best among highly self-motivated people, who may even be considered as renegades if they are in most large organizations? Yes, absolutely, I saw this over and over again. This finding is supported by academics researching disruptive innovation such as Harvard professor Clayton Christensen, who found that disruptive innovators usually move out of a large company in order to grow their business. In my own professional career working at a large multinational corporation we started a WWW-based Intranet without official blessing, at a time when the concept was virtually unknown. Against all organizational obstacles, we created one of the first company Intranets, which became a huge success. Most of the people in the team later left the company, but used the skills they acquired very successfully in their further careers. 3. Question: One of the interesting features of COINs, as I believe you describe them, is they operate best without designated leaders. Is that the essence of good teamwork? A COIN has leaders! Only they are not appointed from the outside, rather it is the community members selecting their own leaders. A COIN is not egalitarian, but a meritocracy. And if leaders are not to the liking of the COIN anymore, the COIN is very quick in replacing them. The Debian Linux opensource developers set an excellent example, having replaced their own leaders repeatedly in a grassroots way, while fully documenting this process on their Web site. 4. Question: It seems that managers would be very motivated to encourage the emergence of COINs in their organizations, and yet you suggest in your book, Swarm Creativity, that most managers would rather live with a problem than with a solution they do not fully understand or control. Is it mainly a fear of loosing control over their employees or a fear of "disruptive innovations" that keeps many managers or even entrepreneurs from embracing COINs? Human nature does not like change. Most people prefer a stable and secure environment. A COIN brings disruptive change. Ultimately the output of a COIN leads to radically new, superior solutions. But the way to get there can be quite rocky, and might take uncontrollable twists and turns. Most managers like to be in charge, like to know what is going on at all times, and like to control their environment, which is all an antithesis to COINs. I see that trend changing, however, having now worked with many "enlightened" managers who trust in the self-organizing swarm creativity of the organizations they are leading. 5. Question: In Swarm Creativity you make what you describe as a "bold leap" by saying that steps can be taken to make COINs happen. Will that be one of the keys to success for organizations and businesses in the future? Making COINs happen means to create an environment where COINs flourish. Nurturing COINs is similar to a beekeeper who nurtures a swarm of bees, such that the bees produce more honey, or that the swarm swarms and splits such that a new swarm will emerge. Organizations, which want to nurture COINs, are like beekeepers supportive of swarming. Swarming is a risky process, it is largely uncontrollable, and yet, the expert beekeeper observing his/her hive will usually catch the swarm, and get it back to double the honey output. The same metaphor applies to organizations supportive of COINs. Observe the COIN members, let them develop their ideas, provide a fertile nurturing ground for developing new ideas, and you will reap the rewards. 6. Question: What do you think might be some of the problems in the world, which if dealt with by COINs, might result in practical solutions that could actually be implemented and make life better for those who do not have the resources or expertise to address the problems? There are far too many examples to give an exhaustive list. COINs can be put to work basically in any imaginable surrounding, from environmental issues, to bridging the digital divide, to increasing efficiency in large corporations. I can only give a few non-representative examples. There is a community called TenCube organized by Julian Gresser, which wants to develop new energy cells with ten times the capacity at a fraction of the price, to power light sources in developing countries. They have already built a first successful pilot. The OLPC (One Laptop Per Child) initiative sets another great example for the power of COINs. It is a radically new alternative to Intel/Windows powered laptops. Leveraging the power of COINs, "Queen Bee" Nicholas Negroponte has put together a small team of highly motivated volunteers, who have taken on multibillion dollar multinational corporations to produce a superb product at a fraction of the price. The OLPC laptop is to be given to all children world-wide, originally for a price of $100, now up to $188, but still much cheaper than comparable products from established vendors. There are also COIN success stories in decidedly old-fashioned industries such as retail: Swiss retailer Migros has created a new low-cost product line called M-Budget, which was the product of an internal COIN. It established the M-Budget product line against large organizational obstacles, becoming a huge success. Microlending as organized by Nobel Prize winner Muhammad Yunnus sets another great example, where a community self-organizes to bootstrap new business. In microlending, lenders do not put up physical assets, but use their social capital in their community as collateral to secure a loan. And finally, the way LEGO integrated the work of outside enthusiasts who hacked the software of their Mindstorm product line also nicely documents the commercial viability and power of COINs. Dr. Gloor's description of the benefits of COINS is a compelling reason why they should be nurtured and encouraged to thrive in an organization. Who would argue against making their organization more innovative, more agile, able to uncover hidden business opportunities, adept at reducing costs and time to market, and identifying and rewarding innovators irrespective of where they are in the organization's hierarchy? 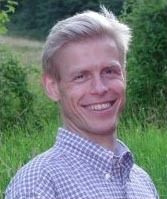 Dr. Peter Gloor is a Research Scientist at the Center for Collective Intelligence at MIT's Sloan School of Management where he leads a project exploring Collaborative Innovation Networks. His book Swarm Creativity: Competitive Advantage through Collaborative Innovation Networks, which was published by Oxford University Press, can be purchased online from amazon.com.